College is a fantastic and exciting experience, but it’s not without issues. One of the most common risks is theft. Residence halls are generally safe and well-protected with locks and security cameras, but that won’t prevent someone from taking your valuable items, especially if they’re simply left laying around. That’s why a sturdy, reliable safe is an essential item for any college dorm room. The Sentry P005c purports to be exactly that, but is it really up to the challenge? Read the rest of my review to find out. The SentrySafe P005C is a compact, lightweight safe featuring a programmable three-number mechanical lock. At 8 by 5.9 by 2.6 inches and 1.8 pounds, its small size and light weight are ideal for the cramped confines of an average dorm room. The steel body offers security as well as protection from drops, impacts and other abuse it’s likely to incur over time. Inside, the Sentry P005c features a soft, scratch-proof lining designed to offer additional protection for cell phones and other fragile or expensive items. 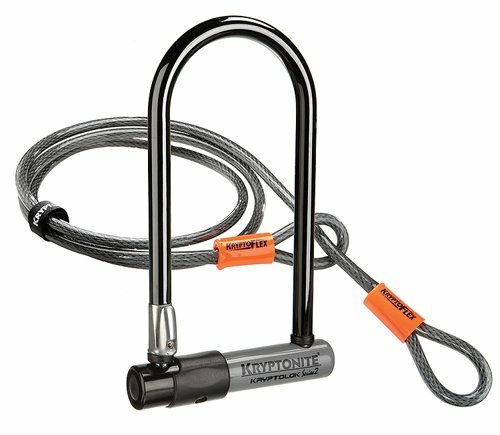 The P005c also includes a steel cable that can be used to tether the safe to a secure object. The core of the SentrySafe P005C is its three-number mechanical combination lock. The combination is entered by using a set of three rotary number dials at the front of the safe. A custom combination can be set by a small tab on the back of the locking mechanism, which is located underneath the removable insert inside the safe. The safe can be used with or without the steel tethering cable, which is not permanently attached. Instead, it can be looped around a sturdy object and secured via a stopper that fits into a small notch in the back of the safe. The cable is simply inserted in a notch in the back corner of the safe by the hinge, keeping the cable out of the way when opening and closing the safe. After my SentrySafe P005C review I found several things to like. It’s compact and lightweight, so it works very well in a dorm room in which space is at a premium. Despite its diminutive size, the interior is roomy enough to fit a cell phone, wallet, keys and other small-but-valuable items that are most at risk in a dorm setting. The tethering cable is a handy addition since it provides an additional layer of security and convenience. Perhaps the biggest positive, however, is the price. The Sentry P005c is affordable enough for even the most cash-strapped college student, at under $15, this safe is a bargain, especially considering it comes with a cable. The way I like to use this safe since the combination is on the front and there are no levers or knobs to use is to hide it under my mattress. The pictures here don’t really do it justice, but I used the cable and secured it around the bed frame, hid the safe under my mattress and used the blanket to hide the cable. The best safe is one a thief can’t find and by hiding it under my mattress, this safe is really hard to find. Of course, that low price does come with a few drawbacks. The safe’s steel body isn’t especially robust, and it likely wouldn’t prove to be a significant hindrance for a sufficiently determined thief. The locking mechanism is also less than ideal. The lock closes securely and functions as intended, but the subpar quality of the materials means the mechanism can be overcome with enough effort and some basic tools. Still, although it may not offer bulletproof security, the Sentry P005c succeeds at its primary goal. It provides a compact, effective deterrent for all but the most determined of would-be thieves and helps to prevent crimes of opportunity, and it does so at an affordable price. The foam padding is a bit thin compared to the NanoVault 300 but should be adequate for the things that will be going in the safe. 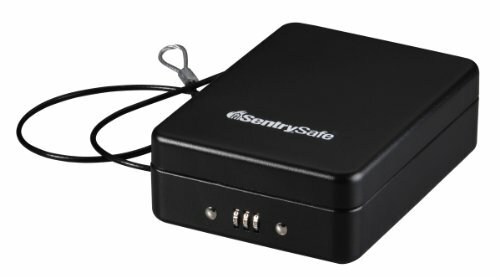 The Sentry P005c is an excellent compact safe that you can hide almost anywhere and can be easily hidden under a bed mattress.